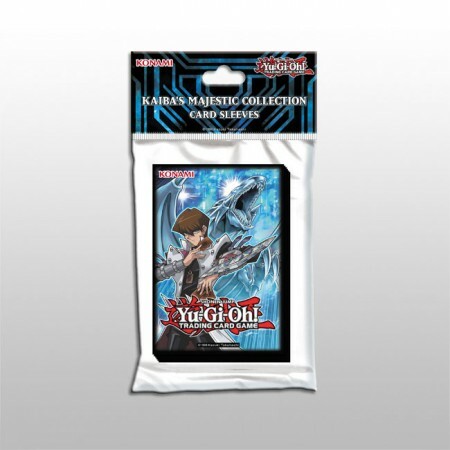 Strike fear in the heart of your opponents as soon as they cut your Deck with the Yu-Gi-Oh! 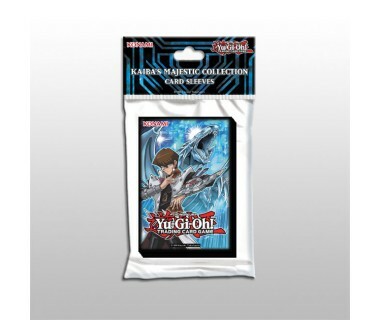 TRADING CARD GAME Kaiba’s Majestic Collection Card Sleeves! Featuring Seto Kaiba and artwork from Majesty with Eyes of Blue, your Deck will look as fly as Kaiba’s Blue-Eyes White Dragon jet!